Popular and most controversial Nigerian actress, Tonto Dikeh who has been seen to be overly generous has just promised to give BBNaija’s Season 2 housemate, Gifty an Iphone X or any gift of her choice (worth 1 million naira only) for slamming an actress. 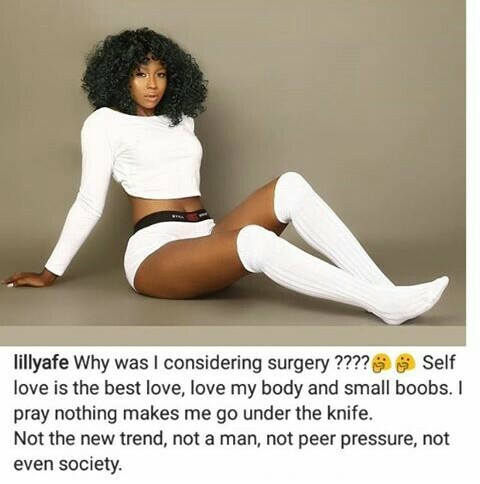 Recently, Lily posted a picture on her Instagram and seemed to be a subtle shade directed at Tonto Dikeh. In her post she revealed she was proud of her shape and that she would never consider cosmetic surgery. Her post is suspected to be a subtle shade thrown at actress Tonto who had done cosmetic surgery. Former BBNaija contestant, Gifty then slammed Lily after she posted the photo. She gave an epic response to the post, calling Lily broke and a beggar. However, Tonto Dike seemed to enjoy the beef and promised to reward Gifty for the shade. She posted on her Instagram to inform Gifty that she would get her gift as soon as she back into the country.